How It Changed a Struggling Student’s Life! I am currently a first-grade teacher in a Title1 school in Broomfield, CO. I took a Kagan workshop in October 2016, and then another one in January. 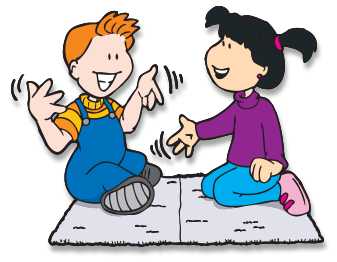 I began instituting the Kagan Structures such as RallyRobin, Timed Pair Share, and RoundRobin, the week after I took my first Kagan workshop. I then watched the “magic” of the Kagan research and structures unfold in my classroom! Specifically, one of my students who was seriously considered for retention in August due to his disruptive behavior and possible learning disability, began to respond immediately to the Kagan Structures. I soon observed that he was no longer an outcast; he was part of a work team. He was held accountable for his work and contributions. His classmates responded to him by encouraging him, and they also realized that he was a valuable member of the team. This student’s demeanor changed remarkably! He started smiling and looking his peers in the eye. This student’s disruptive behaviors began to diminish as he was included and valued by classmates, and as they embraced the Kagan Structures and cheers. This student started performing better in all subject areas like he had never done before. Between October and January, he increased his state testing scores by 80 points! His confidence soared as he became an accepted member of the class. This student’s disruptive behaviors began to diminish as he was included and valued by classmates, and as they embraced the Kagan Structures and cheers. I, without a doubt, attribute this dramatic positive change in this student to Kagan Structures and the research behind them. This student was truly engaged for the first time in his life! He came back after winter break and declared that he had made up his own cheer for himself and his classmates. We added his cheer to our class repertoire of cheers! He is delighted when we use his cheer! I cannot even put into words how much I appreciate and believe in the Kagan methods! I use them every day in a multitude of ways in my classroom across subject areas, and I continue to be amazed at my students’ engagement, teamwork, collaboration, and accountable learning!